INDIA tour for the First Time. Next Week i`m going INDIA to attend MVP Open Day at Microsoft India Development Center (MSIDC), Hyderabad. MVP Open Day at Microsoft India Development Center (MSIDC), Hyderabad, India. The MVP Open Day is a three day invitation-only event that is hosted at MSIDC. The event will feature a roster of keynotes and deep dive technical sessions delivered by experts from the product group as well as a variety of social networking opportunities to enable MVPs to network and socialize with their technical peers, build new relationships with Microsoft Development Centre teams, and share real world feedback. This is a great opportunity for MVPs to connect with each other; with Microsoft Development Centre, visiting Redmond Product Group as well as MVP team staff. 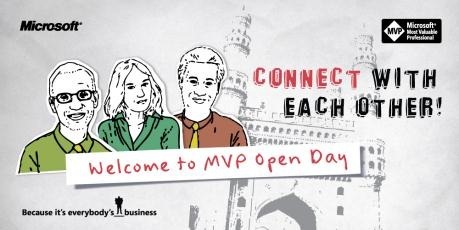 MVP Open Day will be held from 19 – 22 May 2011. 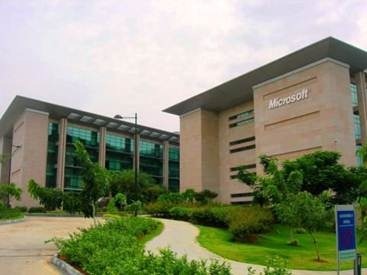 Microsoft India Development Center (MSIDC), Hyderabad, India. I’m also planning to attend this event as a Sri Lankan MVP. Windows Phone 7 Developer Guidance Advisory Council. I had been selected as a Windows Phone 7 Developer Guidance Advisory Council member. That was nominated by Microsoft. The Developer Guidance team sits in the Server & Tools Division and our mission is to create rich and compelling guidance to ensure developer success on all Microsoft platforms during the planning, development and post-release phases of all products. In addition to being completely scenario driven with our developer guidance, we have a special focus on scenarios for developers who are new to a particular platform, as well as intermediate level guidance and patterns & practices™.